Nokia was once the world's leading mobile phone company. They were late to the smartphone revolution, and the company's mobile phone arm was sold in 2013 to Microsoft. The Nokia phone brand was sold by Microsoft in 2016 to HMD Global, a new company founded by ex-Nokia executives. Back in 2006, Nokia introduced the 6215i phone that was actually a re-branded clamshell Pantech PN-315 handset, for the Verizon network in the US. The phone had a 65K, 97x64 PMOLED subdisplay. In its Symbian days, before the rise of the modern smartphone, Nokia released several AMOLED Symbian phones to the market - such as the N85 and the N86, the N8 and the E7 and the C7. In most of these AMOLED phones, Nokia used their ClearBlack Display technology (CBD) - which adds a polarized filter to the AMOLED and is said to deliver better outdoor visibility. When Nokia abandoned Symbian in favor of Microsoft's Windows Phone OS, they continued to use OLED displays in most of their phones - the latest one was the Lumia 930, the flagship 2014 Windows Phone 8.1 smartphone. The Lumia 930 has a 5" Full-HD Super AMOLED ClearBlack display, a 2.2 Ghz quad core CPU, 20 MP PureView camera (with optical image stabilization), Qi wireless charging and NFC. 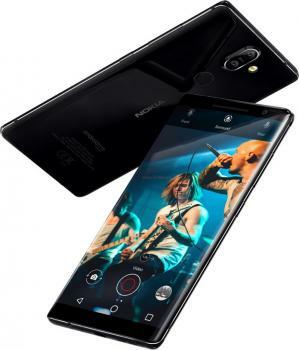 HMD Global, who now owns the global Nokia smartphone brand, has released several new smartphones - including the Nokia 8 Sirocco in February 2018 - with its flexible (edge-type) 5.5" 1440x2560 (534 PPI) P-OLED display - reportedly made by LG Display. This is the latest Nokia-branded smartphone to feature an AMOLED display. Nokia no longer produces mobile phones, but the company is still active with OLED research. In June 2014, for example, Japan's Semiconductor Energy Laboratory, in collaboration with Nokia unveiled a new foldable OLED display, which you can see in the video below. 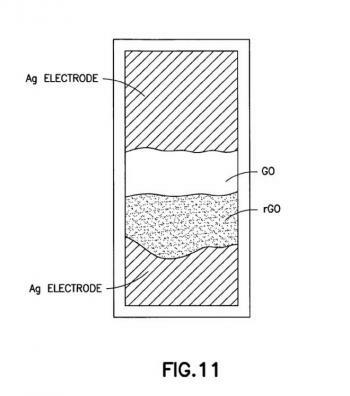 Samsung SDI and LG Chem are already developing bendable Li-Ion batteries, but Nokia is aiming higher: the company recently filed a patent for a graphene-based flexible transparent self-charging photon battery. This is still very early technology probably, and we're not sure if the company actually aims to commercialize it, but it's still exciting. Nokia's battery design can regenerate itself immediately after discharge through continuous chemical reactions, without an external energy input - just from the humidity in the air). This could prove to be a truly energy autonomous device. Semiconductor Energy Laboratory, in collaboration with Nokia developed a new foldable OLED display. The companies are demonstrating two display prototypes. Both displays are 5.9" in size with a 1280x720 (249 PPI) resolution. One of them can be folded in two (like a book) and the other can be folded in three (seen in the video below). 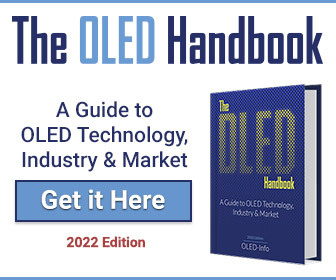 Those flexible OLED displays use a white OLEDs with color filters (WOLED-CF) design. 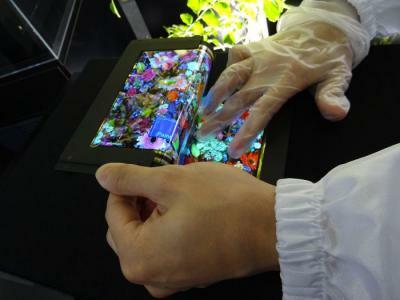 To produce the display, SEL deposited the organic and color filters layers on a glass substrate, which is later peeled off and replaced with a flexible substrate. The displays can be bent up up to a curvature of 2 mm (two-folds) or 4 mm (three folds). SEL says that these displays can be bent more than 100,000 times. AT&T now ships Nokia's Lumia 1020 - from $269. 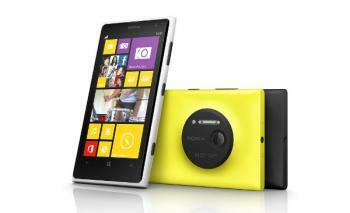 The Lumia 1020 is an imaging-focused Windows Phone 8 smartphone. It's got a 41-mp camera, OIS, BSI, lossless zoom, six Carl Zeiss lenses and xenon flash (stills) and LED flash (video). The display is a 4.5" AMOLED PureMotion HD+ panel (1280x768). Samsung and LG Display are showing these cool unbreakable OLED panel prototypes, and just in time I dropped my Galaxy S phone and the display broke - So, now I also understand why an unbreakable display is good. Until I get a new phone, I'm now back to my old Nokia 1202. A phone with real buttons and a battery that lasts for days. How charming! There are some new conflicting reports regarding AUO's OLED program. According to Digitimes, AUO is still struggling with technology issues (mostly low yields and costs) - and has only managed to produce 126 PPI displays. It's possible that all through 2013 AUO will only be able to make these low density panels, and so only target the entry-level and mid-range mobile phone markets. According to digitimes high-resolution OLED panel orders will go to Samsung instead. Yields at the AUO line is still low at 30%-40%. According to Chinese site OLEDW, however, AUO managed to overcome the yield issues (reached 60% yield), and HTC will use AUO's 4.65" OLED panels in their upcoming M7 flagship phone (Digitimes says that HTC decided to use Sharp-made LCD panels instead). These 720p panels will sport a high 317 PPI (this panel was unveiled by AUO back in October 2012). OLEDW claims that HTC requires a monthly supply of 2 million panels, and have reserved the entire line output of AUO's 3.5-Gen Linkou, New Taipei City fab (7,000 substrates a month, which is not enough for 2 million panels actually, so some of OLEDW numbers aren't correct). This was already reported several times in the past. 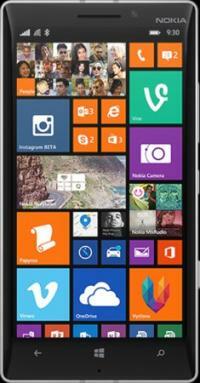 Nokia's Lumia 820 Windows Phone 8 is now available from AT&T (free with a contract). The Lumia 820 features a 4.3" 800x480 Clearblack OLED display, a 1.5Ghz dual-core CPU, 1GB of RAM, 8GB of storage (and a microSD slot) and a 8mp camera. IHS DisplayBank say that AMOLED shipments grew 8% in the second quarter of 2012, after decreasing slightly (2.5%) in the first quarter. 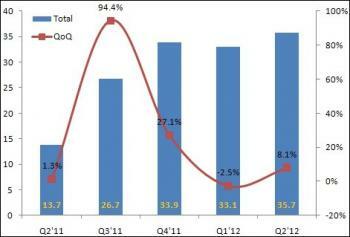 Total shipments in Q2 were a little over 35 million units. Average size and price increased by about 1% of Q1. DisplayBank says that Samsung is still the main supplier with over 90% of shipments, and this is not really news. They say that LG Display faced low demand from their main customers (LGE and Nokia). Nokia announced two Windows Phone 8 devices today. The lower-end one, the Lumia 820 has a 4.3" 800x480 Clearblack OLED display. Other features include a 1.5Ghz dual-core CPU, 1GB of RAM, 8GB of storage (and a microSD slot) and a 8mp camera. The Lumia 820 will ship towards the end of 2012. AUO was supposed to start producing 4" to 5" AMOLED panels in Q2 2012, but new reports say that AUO's yields are still very low (less than 20%) and so they have delayed mass production to Q3 2012. The same reports suggest that AUO got orders for 4.3" qHD AMOLED panels from HTC and is likely to get orders from Nokia as well. AUO first AMOLED plant is a Gen-3.5 fab that has a monthly capacity of about 8,000 substrates. The company is also planning to later start producing at their Singapore Gen-4.5 fab (at AFPD). According to the new reports, the company was considering a 5.5-Gen AMOLED fab as well, but isn't likely to go ahead with that plan due to the low yields from the 3.5-Gen fab. Earlier reports suggested that AUO was considering a 6-Gen fab for large size panels (for OLED TVs).